• 900 sqft , 1 bath , 3 bdrm 2 storey – FOR SALE USD37,900 . 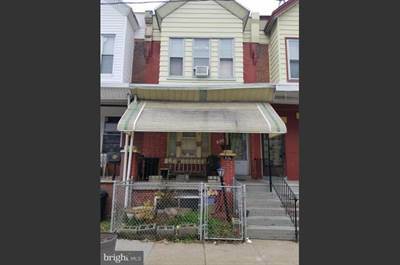 3 bedroom row home with front porch, living room, dining room and kitchen located in SW Philadelphia close to public transportation. Property being sold “As Is. ” Please email all offers to bobby. james48@gmail.com. All cash offers must have POF and financing offers must have pre-approval to be considered. Buyer is responsible for U & O and seller does not accept electronic signatures. Proof of funds with all offers.